The WA Liberal Party abandoned its pact with the National Party to make a deal with One Nation. It backfired. The past weekend saw a change of government in the state of Western Australia (WA). After eight-and-a-half years in power in the state, the Liberal Party, led by Colin Barnett, experienced a swing of almost 16 percent against it, reducing it to just 13 seats in the 59-seat lower house. The Labor Party will now command a sizable majority in the parliament, although they inherit the unenviable situation of a state struggling to adapt to a decline in global demand for its resources. Colin Barnett’s eight-plus years as WA Premier was an eon within the current culture of Australian politics. In his time in office he experienced five national prime ministers, alongside five premiers of New South Wales (NSW) and four in Victoria. This political stability in WA was mostly due to a pronounced mining boom that had brought rapid growth and significant wealth to the state, and a desire among the population not to rock the golden boat. Western Australia is the country’s largest state geographically, but only its fourth largest in population. It sits isolated from the east coast’s population centers, separated by the vast deserts of the Australian interior. Yet what the region lacks in people and connections it makes up for in mineral resources. WA has an abundance of iron ore, gold, alumina, nickel, copper, lead, and zinc. With China’s seemingly insatiable need for materials, and high global commodity prices, WA was a state swimming in cash over a 12-year period starting in 2003. Yet as China’s growth began to slow in 2015, and commodity prices began to fall, WA has been pushed into reverse. The state is now stuck in a deepening recession, with the highest unemployment rate in the country. Business investment fell by 36 percent in 2016, and the state’s rate of contraction was 9.5 percent. With these factors, it was a given that the governing Liberal Party would take the fall and there would be a significant swing to the Labor Party. However, it was thought that this situation would also play into the hands of the far-right One Nation party. 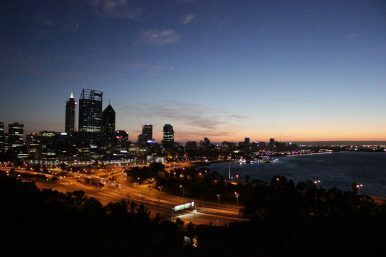 Western Australia has been seen as the second most fertile state for One Nation to gain a foothold after Queensland. The state did elect a One Nation Senator in the 2016 federal election, and was expected to carry the momentum of a global increase in nationalist populism into the state election. Early in the campaign the anti-immigration party was polling at 13 percent, and looked set to secure a significant number of seats. Due to this, in a panic, and indicative of its current waywardness, the Liberal Party decided to do a preferences-swap deal with One Nation, shunning its traditional ally in the National Party (in WA the two parties are in a looser “alliance” rather than the sort of formal coalitions they share in the Federal, NSW, and Victoria parliaments). Australia uses preferential voting, or a ranked ballot, in its electoral system. When a party issues a “how to vote” card to people entering a polling station, it will indicate how the party wants you to rank each candidate on the ballot. Voters are not obliged to follow this, but most do, making preference deals between parties extremely important. The Liberal Party believed it might be able to save some seats by entering into a Faustian pact with One Nation. Yet on election day, the One Nation vote collapsed and was only able to obtain 4.8 percent of the vote, and won no seats in the legislature’s lower house (although it still may potentially win two in the state’s upper house). In the week before the election, One Nation’s federal leader and party figurehead, Pauline Hanson, gave an interview on the Australian Broadcasting Corporation (ABC) where she bought into anti-vaccination conspiracies theories, and praised Vladimir Putin as the kind of leader Australians desire. These utterances were deemed to have a significant effect on the discrepancy between campaign polling data and the party’s final result, turning off parents concerned about their children’s well-being, as well as those who may have been tempted by the party due to a frustration with the current political class, but are not keen to give up on liberal-democracy just yet. This episode also exposed what a confused mess the Liberal Party currently is, given that they would even consider entering into a preference deal with such an irresponsible political actor. The WA Liberal Party’s decision to abandon its pact with the National Party (an arrangement that has existed in various guises since 1923), will be deemed a massive slap in the face to the rural-based party, and result in some major tensions between them for some time. This just adds to the woes of the current Federal Coalition government. For the Labor Party, its new sizable majority will provide enough political capital to pursue planned investments in the state’s infrastructure and education systems. But finding the financial capital to do this may be a little more difficult. Exploring a path toward becoming less reliant on exporting its mineral wealth will have to be the new government’s most important task.